Although the origins of the phenomenon of everyday carry (EDC) are unknown and debated by many, it may have roots tying back to the daily needs of gentlemen and women in the 18th century. Back in the good old days, people were accustomed to carrying a variety of necessities with them for everyday use. Things like pocket watches, tools, knives, tobacco and more were extremely common. Essentially, if you could fit it in your pants and jacket pocket, these items were considered part of the everyday carry term. Everyday carry can range from your basic items such as a wallet and keys to a more diverse grouping of items like a portable keyboard, notebook or a multi-tool. Nowadays, you'll see a barrage of Instagram posts showing users' everyday carry preferences, inspiring your own choices and style. This page is the ultimate compilation guide of our diverse everyday carry posts here at Primer. Check out our listing below to see our everyday carry essentials for every situation, holiday or profession. An introduction to EDC takes you through EDC's history and appeal up to modern times. We discuss the benefits of consistently practicing good everyday carry, as well as taking you through the basic necessities we carry every day, helping to inform you on your quest to master the art of EDC! We give you 17 unique examples of perfect everyday carry items that can dramatically increase your efficiency and day to day life. Curious about everyday carry or getting into the concept? This is the perfect post for you. Already immersed in the everyday carry lifestyle? We still provide you many unique items you may have missed. The holidays can be stressful. Travel, overbearing family members and the constant running around to finish shopping and visiting the various gatherings you've been invited to. You have little time to get ready and traveling light will be crucial for your smooth journeys. Our Christmas travel everyday carry guide takes you through 7 essential items that will help you throughout your holiday travels. Everything from choosing the right bag to carry your items to the right flask and bourbon to accompany it! Keeping up with the spirit of the holidays, our everyday carry Thanksgiving version will prepare you for the massive feast you are about to enjoy and equip you with travel necessities to ensure a perfect holiday. Our Thanksgiving everyday carry guide is loaded with items to liven up the dull moments and help ease your mind during these hectic days of travel and seeing your extended family. In this post, we deliver 12 unique items to add to your holiday EDC. Winter is coming, and the snow will be arriving shortly. Soon you will probably find yourself knee deep in snow, scraping the ice off your windshield wishing you were in the Bahamas. But you're not. Having a fine-tuned set of everyday carry items in the winter can make all the difference in your enjoyment of going outside and continuing to live your life. We've put together a big list of items to get you through the worst of winters and prepare yourself for the incoming ice age. Creativity and inspiration are in your blood. They keep you going and keep you sane. This EDC guide is decked out with essential items to keep those creative juices flowing no matter what situation you're in. From inception to execution, your brain is full force firing out genius ideas that you need to keep track of and develop further. In this list, we provide you with the right gear to cultivate those ideas and let your original ideas keep flowing. 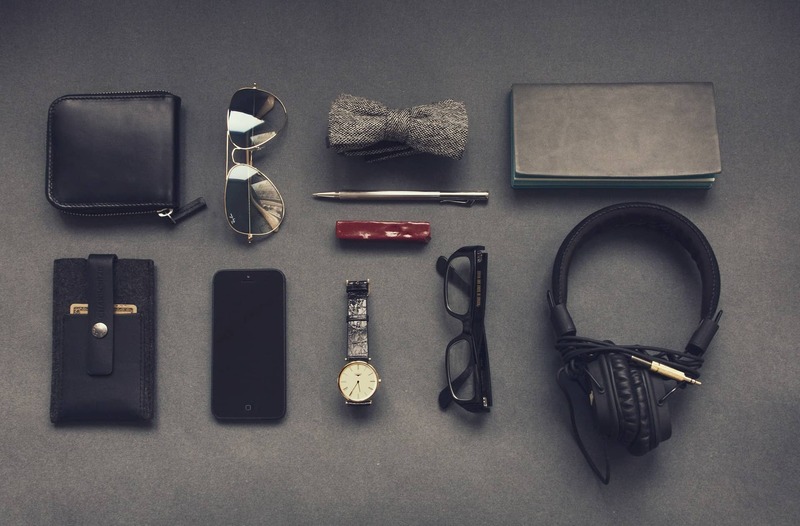 The essential EDC list for keeping your company going. Yeah, you're the real unsung hero of the office that keeps the machine oiled and running smoothly. These tools and items should become a crucial part of your everyday carry, assisting your already diverse skill set and knowledge, taking it to new heights. Be proud of your skills, dammit. But don't forget to bring these useful items along with you to make your life that much easier.